Sydney Opera House Sails. Image courtesy of Vivid Sydney. In my last post I wrote about how difficult it was for me not to stare at the sails of the Sydney Opera House on a regular day in the city. Over the coming weeks this will become increasingly more difficult. Every year for the past four years I eagerly anticipate the changing of the seasons from Autumn to Winter for despite the dramatic drop in temperature, I know it’s that time when Sydney transforms into an awe-inspiring canvas of light for a festival aptly named Vivid Sydney. Since its inception the festival has taken Sydney city by storm. The biggest festival of its kind in the Southern Hemisphere it consists of over sixty light installations, projections and musical performances from both local and international artists. This year, the festival’s organisers have introduced a new element – the Vivid Ideas Exchange. Completing the three pillars of this year’s festival – light, music and ideas – it will feature public talks and debates from leading global creative thinkers and give people the opportunity to connect with other like-minded creatives. It appears it’s not the only change to this year’s festivities. We’ve been promised that this year the key projections that illuminate the Opera House will be bigger, better and come direct from Germany in what seems to be the latest in large scale visual projection technology – 3D! Interactivity has also increased. 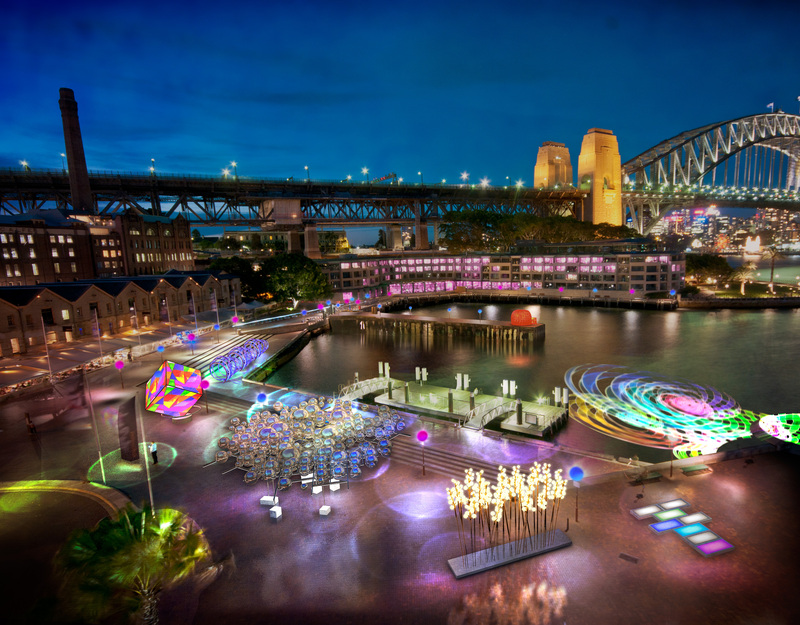 A playground of light sculptures will be scattered across the wharf, stretching from the Sydney Opera House all the way around to Dawes Point and ending in Walsh Bay. There’s been talk of a giant digital version of Tic Tac Toe and Hopscotch which I am betting will be highlights. Playground of Light at Vivid Sydney. Image courtesy of Vivid Sydney. The dazzling lights of the festival are turned on from 6pm every night during the festival until midnight. 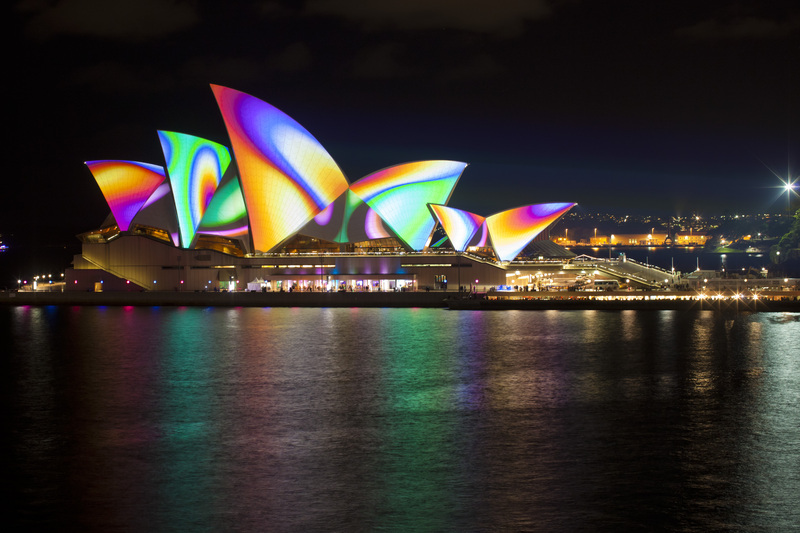 As previously mentioned, this year Vivid has commissioned multi-award winning German design collective URBANSCREEN to create the artwork that transforms the Sydney Opera House – the key feature of the festival. Vivid LIVE comprises an extensive list of musical acts that will hit Sydney’s shores to contribute to Vivid Sydney. It is a ten-day contemporary music festival including international artists such as Florence and the Machine, Sufjan Stevens, Janelle Monáe, Imogen Heap and internationally acclaimed local band The Temper Trap, all performing at the Sydney Opera house. Karen O of Yeah Yeah Yeahs fame also brings her self-described “psycho” opera STOP THE VIRGENS that has been seven years in the making, to the stage at the Opera House for its Australian premiere, exclusive to Sydney. A late announcement sees music royalty will.i.am also joining the Vivid Sydney line up as a collaborator with Sydney artist Justene Williams. The collaboration is said to be a world-first lighting installation on the façade of the newly renovated Museum of Contemporary Art, which allows the public to interact with a purpose-built interface that brings together the music of will.i.am and projections designed by Justene Williams. 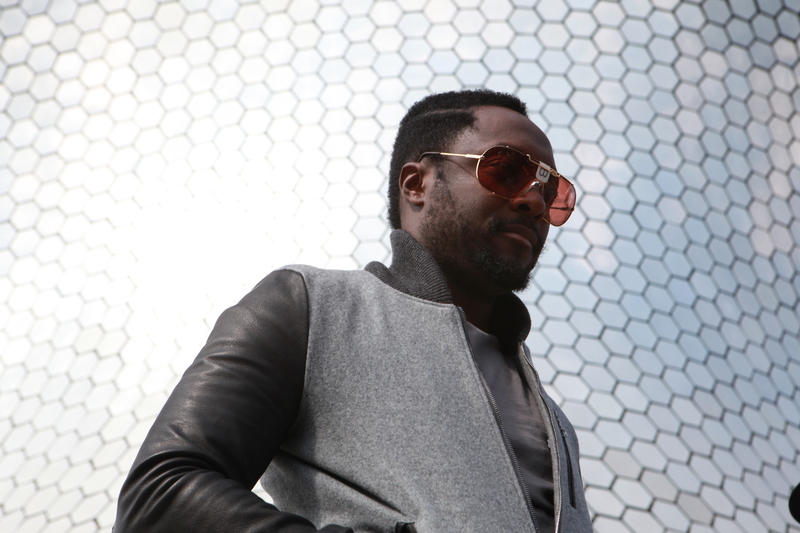 will.i.am to collaborate with local artist for installation. Image courtesy of Vivid Sydney. Held in various locations across the city, there will be a host of events designed to encourage the discussion and development of ideas in the creative industries. Lead by an impressive list of international creative thinkers, the Vivid Ideas Exchange is a new feature of the festival and is set to inspire many ambitious minds. Events include invitation-only, ticketed events for the public or industry sector as well as free public events. Still mesmerized by last year’s unforgettable show, I’m anticipating only great things and cannot wait to see how the city will be transformed this time around. The city really does come to life during this festival time. There is nothing quite like it. The festival runs from 25 May to 11 June, and the best part – it’s free! This entry was posted in Cities, Explore, Sydney and tagged festivals, jenna, sydney, sydney opera house, vivd sydney.